The ACR 2886 AISLink MOB is a personal AIS (Automatic Identification System) with integrated DSC (Digital Selective Calling) and GPS. AIS devices send a distress signal to nearby boats for rescue. 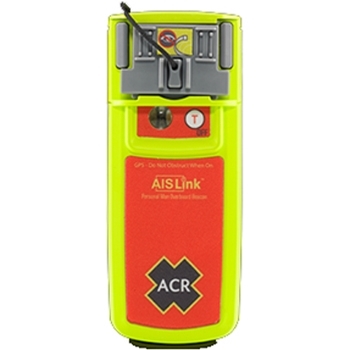 The ACR AISLink Personal Man Overboard Device (MOB) is a smart add-on to your marine safety equipment. The MOB is designed to be manually activated or attached to your inflatable life preserver and activated when it inflates. The AISLink transmits 8 times per minute with an accurate location using it's internal GPS. AIS MOB devices transmit a localized signal alerting boats nearby of your situation. A nearby boat can usually get to you for rescue much faster than search and rescue. Buy More and Save, Order 6 or more and save 15%. The ACR 3963.1 C-Light is a Rugged, Lightweight Manually Activated, Steady On Personal Distress Light. 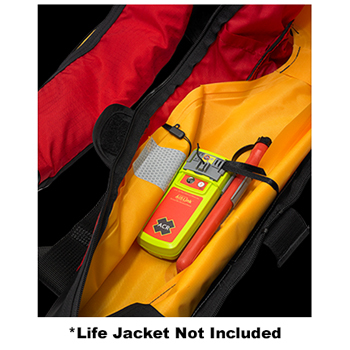 Small in Size, the 3963.1 can easily fit in your pocket or attach to a life jacket or backpack. Operating Life of over 30 hours! Order 6 or more and get a discounted price of $9.50 each. 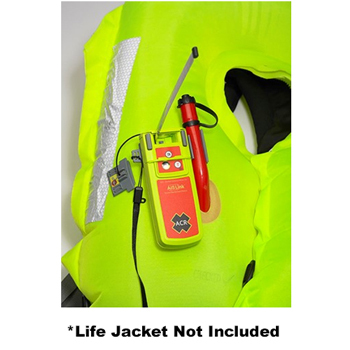 The ACR 3964.1 C-Strobe is a Water Activated Personal Distress Strobe Light that is designed to be attached to your life jacket. The 3964 can be water activated or manually activated and has an operating life of over 120 hours in strobe mode! Order 6 or more and get a discounted price of $15.00 each. The ACR Hot Shot Signal Mirror lets you use the power of the sun to signal passing boats or rescue personnel in case of emergency. No batteries or electronics needed. The ACR 3970 emergency distress strobe light has a 360 degree beam of light that can be seen over 3.5 miles away. The water activated emergency distress strobe light has a 360 degree beam of light that can be seen over 3.5 miles away. Model 3971.3 and 3971.4 are identical except packaging.